"Though we all desire a healthy and happy life, it is ironic that we often follow a path that is complex and self-destructive. One never knows which words will provide the kind of insights and inspiration to help us right the course. 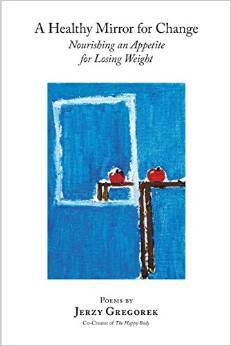 Each poem in this book developed in response to the struggles of the many individuals who have tried to implement the simple but often difficult solutions to the obstacles they faced with regard to exercise and food. For those who face such obstacles, it is the author’s hope that these poems will strike a responsive chord, guiding you toward constructive changes that will make a positive difference in your life. Once you begin to travel this path, you will be able to focus your energy and attention on that which is truly important. 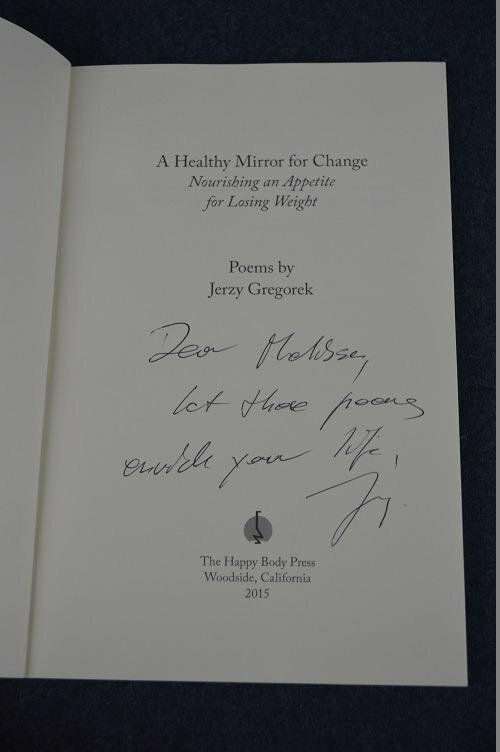 Jerzy Gregorek has been mentoring people for more than 25 years to help them attain a happy and healthy lifestyle. He is the co-creator, together with his wife Aniela, of The Happy Body Program." I LOVE this book. What initially attracted me to it is that it is a totally different approach to weight loss. No pills, no diets, no group meetings. This book is exactly what it states—nourishing. Nourishment for that ‘boost’ that will get you through the day, nourishment for all the self-esteem that I throw down the toilet, and nourishment for that little part of me that KNOWS that I can do this. How is this done? Through the power of poetry. I am usually not one for poetry, but I figured out that I have been reading the wrong poems all along. I haven’t found poetry that actually meant something to me until I read through this book. The book begins with a ‘Contents’ section, and I like that a lot. I like that when I find one of the poems that I want to focus on, I can flip directly to that page without having to spend too much time surfing through. The ‘Foreword’ is a very informative section that explains in depth about the power food has over us, and how it’s time to rethink. The ‘Introduction’ is very personal, and I found it to be speaking directly to me. The only person who can change me is ME, and it’s quite a revelation to see that I need to change my outlook for this to ever happen. The last few pages provide ‘Questions and Ideas for Discussion’. This would be a perfect section to refer to if you decide to bring this into your book group… (Not IF, but WHEN). These 56 poems have been encouragement, relatable, and supportive. If you feel stuck, start here. You will see a difference. It has changed me. This book (paperback, because I'm partial to them!) costs $15.00 on Amazon, and shipping is free with Amazon Prime. You can also grab the Kindle edition for $3.99.